London: Europe especially in England women shoes are getting sold in speed, that after watching shoes kitchen utensils washing sponge comes in your mind, but the price of shoes is 115000. Firstly people was thinking it’s a lie, but the famous fashion designer Christopher Kane has started selling these shoes, and these shoes are not available on their website and in some designs it’s been written that the stock has been ended, before this Christopher eared a lot of money by selling transparent pants and weird sandals. The sandal with heal, on which the quality leather has been used and for the decoration blue and yellow color foam layers is being used on the back, sole and other places on the shoes and in some designs, diamonds are being placed on the front , and the prices of some shoes are 800 pounds and the price of these shoes in Pakistani currency is 130000. The first foam sandals were being placed in the market for sale in 2017, but now there online business is getting huge success, many of the websites are saying that the stock has been ended. 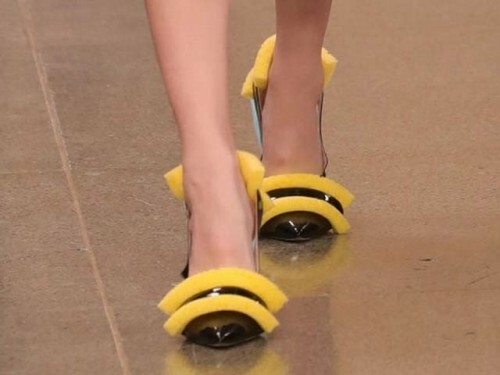 Christopher Kane’s sister Tami Kane said, that the first time she used these shoes were when she went to the England prime minister house 10 downing street, and after that the craze of foam shoes has started. 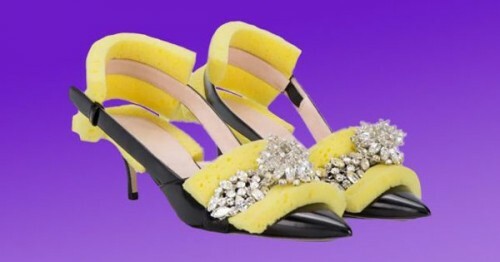 On the other side on social media many people criticized on the design of the shoes and the price of the shoes, some people said that now the designers don t have any new thing in fashion and some said, wear the shoes and also clean the house.